Biliary reconstruction continues to be a major source of morbidity following liver transplantation. The spectrum of biliary complications is evolving due to the increasing number of split-liver and living-donor liver transplantation, which are even associated with a higher incidence of biliary complications. Bile duct strictures are the most common cause of late biliary complications and account for up to 40% of all biliary complications. Optimal therapy for posttransplantation anastomotic biliary strictures remains uncertain and requires a multidisciplinary approach. 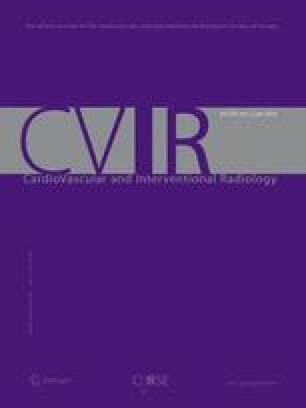 We report the case of a 54-year-old Caucasian male affected by hepatocarcinoma and hepatitis C-related cirrhosis who underwent right-lobe living-donor liver transplantation from his son complicated by double anastomotic stenosis of the main right hepatic duct and of an accessory biliary duct draining segments 6 and 7 of the graft that was successfully treated by percutaneous transhepatic cholangiography with long-term subcutaneous placement of two internal Rüsch-type biliary stents.